Well I am completely excited and very nervous about the new things happening in my lil ole piece of the world here. I have been invited to DISCOVER SCRAPBOOKING by the ever lovely Robyn Alexander to help teach some classes with my layouts 🙂 super cool and how excited can a girl get eh? 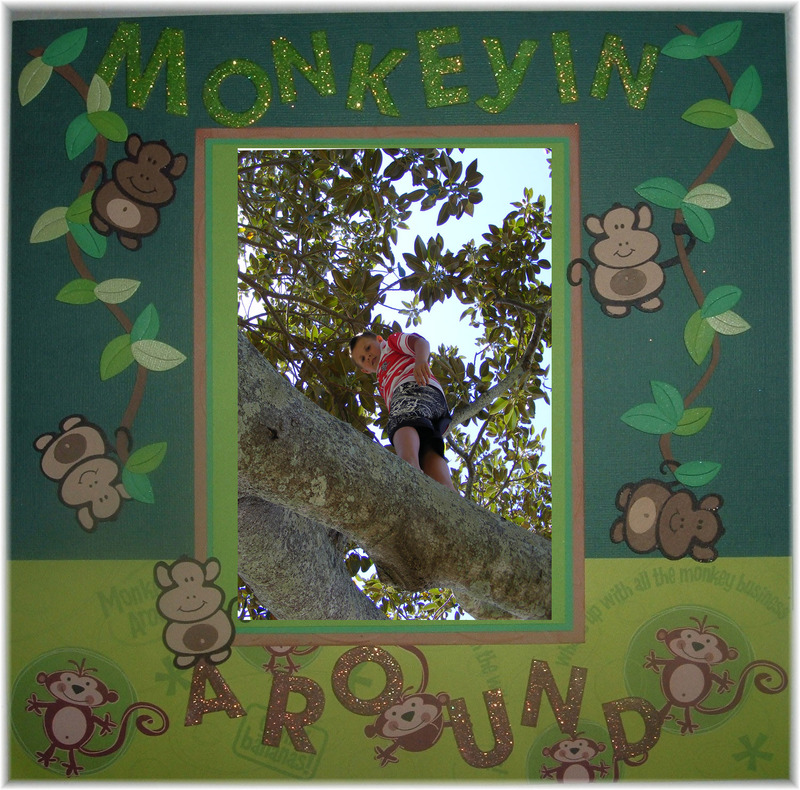 We are doing some paper piecing layouts and one of my absolute faves is this gorgeous monkey (Xavier Monkey) the entire layout was done using just my Cuttlebug ….. kinda missing the lil guy since graduating to the cricut but hey, plenty of love to go around here. So here is my Monkeying Around Layout that will be on the March Timetable. This entry was posted on February 20, 2009 at 2:18 am and is filed under Uncategorized. You can follow any responses to this entry through the RSS 2.0 feed. You can leave a response, or trackback from your own site.